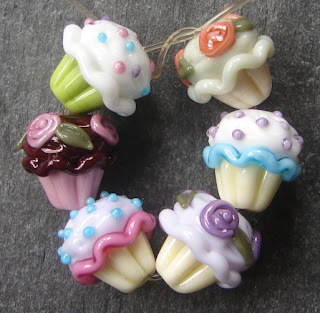 One of my favorite lampwork glass bead artists crafted these beauties. fill my order, I need a fix! Luscious...what more can I say? Click on BeadGoodies above to visit her site.